Have you noticed how rarely all dimensions of Catholic social teaching coexist peacefully in the political engagement of many Catholics? How often are “social justice Catholics” working at cross-purposes with “pro-life Catholics”? Catholics who devote themselves to protecting the unborn or defending marriage don’t always see eye-to-eye with Catholics who prioritize serving the poor or caring for the natural ecology, and vice versa. To be sure, the “life issues,” because they typically involve intrinsic moral evils, must have a certain priority in our social and political engagement. But to achieve short-term wins on the life issues, many are prone to dismiss concern over environmental destruction or the well-being of immigrants because those issues do not compare with the destruction of life brought on by abortion or assisted suicide. Other Catholics emphasize the concrete needs of people in their midst and how to meet them. They are unpersuaded by what seem like moral abstractions — precisely because the life issues are often framed as mere opposition to some immoral action, not as a defense of the human person in light of the web of relationships in which we exist. And yet, isn’t there something common to the two perspectives? Isn’t it the very same “throwaway culture” which now populates our prisons, our landfills, and our graveyards? Our culture’s tendency to discard whatever — or whoever — is old or inconvenient is rapidly polluting both the earth itself and the human community. We need a more integrated way of approaching all the social issues as Catholics. At the Minnesota Catholic Conference, our policy positions do not fit neatly into the polarized, left-right framework that still dominates the political landscape. Instead, on our bill tracker (mncatholic.org/actioncenter), you will find positions opposing assisted suicide and abortion, but you will also find support for clean water funding, and opioid epidemic response, immigrant driver’s licenses, and others. This is not arbitrary. Nor is it the “mushy middle,” a way of pandering to both the right and the left. Rather, it is reflective of a consistent ethic of life that puts back together what our political culture has pulled apart. American politics have become disintegrated, and even while both parties get it right on some issues, neither has a consistent vision of social life capable of building a truly just society. In light of these difficulties, we can look to Pope Francis, who offers a new way of looking at Catholic social teaching in Laudato si.’ In it, he proposes “integral ecology,” which means helping the natural and human ecologies to flourish while respecting both. A vision statement for integral ecology could be the chorus from Laudato si,’ “everything is connected.” When one aspect of our lives is out of sync with Gospel principles, whether in our personal lives or in our public engagement, the whole “spiritual organism” suffers. Because of the significance of integral ecology for public policy engagement in the life of the church today, the bishops of Minnesota have approved the publication of a brand-new document by the Minnesota Catholic Conference titled “Minnesota, Our Common Home.” This resource is intended to help all of us grow in cultivating integral ecology within our families, in our daily lives, and in our call to be faithful citizens — all right here, in our home state. You can download or order your own copy by visiting www.mncatholic.org/ourcommonhome. As you read and pray through this document, we pray you are challenged and encouraged in your call to care for our common home, whether in your own backyard or on Capitol Hill. 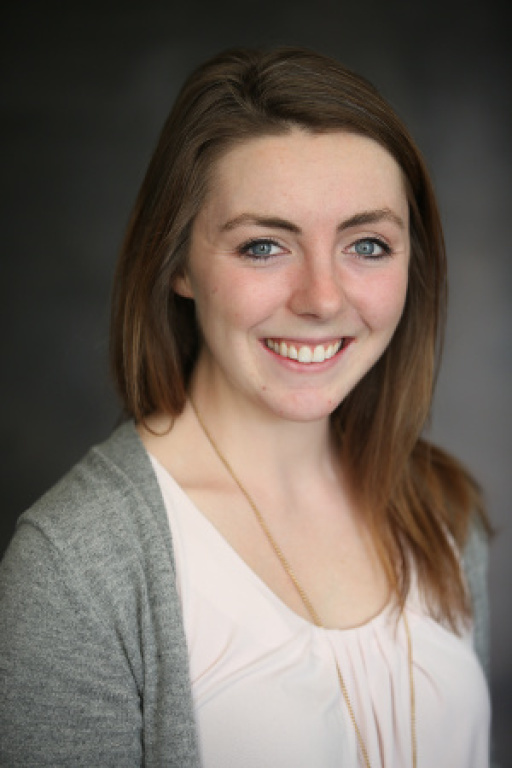 Sarah Spangenberg is the communications associate of the Minnesota Catholic Conference. Minnesota’s students deserve to attend schools that meet their individual educational needs. Parents, as the primary educators of their children, need to be enabled to enroll their children in the school that they feel best meets those needs. The good news is there is now legislation, the Opportunity Scholarship Tax Credit (SF 1872), that will provide families with access to the schools of their choice and ensure we have educational freedom in Minnesota. Let your senator know that you support opportunity scholarships for our kids! It only takes a few minutes to contact your legislators, and it will make a positive difference in the lives of our children. You can visit our action center (www.mncatholic.org/actioncenter) to send your senator a message asking for the support of the Opportunity Scholarship Tax Credit (SF 1872). You can also reach them on the phone by calling the Minnesota Senate’s main line at (651) 296-0504. “Way up North” in the Diocese of Duluth includes parishes like Our Lady of the Snows in Bigfork, St. Michael’s in Northome, and St. Catherine’s in Squaw Lake. The parish cluster straddles Itasca and Koochiching counties and demands a 100-mile round trip for the pastor, Father Thomas Galarneault, to provide Mass and confessions each weekend. Like other places around the Diocese, the faithful are amazing! This Lent, I had the privilege of holding a Prayer Service of Atonement and Healing at St. Catherine’s parish in Squaw Lake. It is the place where the sexual abuse by Father J. Vincent Fitzgerald, OMI, took place many years ago. His actions were criminal and horrific. He betrayed his sacred trust as a religious priest. A young boy was abused there, and this court case (Doe 30) led the Diocese to enter into bankruptcy, so as to compensate the 125 victims of abuse who came forward as fairly as possible. At the service, like others I have been privileged to pray across the Diocese, I offered my sincere apology to the victims on behalf of the Church, we prayed before Our Lord in the Blessed Sacrament, and we had an open forum and fellowship. Available to the participants were two advocates from the Crisis Response Team from Grand Rapids. I am so grateful they were there. I asked those present: Who can bring healing, reconciliation, and hope to victims of sexual abuse? Who can bring peace? There is only one Person I know, and that Person is Jesus Christ. It is Jesus who came to heal broken hearts. He will never let us down. His mercy is His love where we are hurting. Jesus is never afraid of approaching us, no matter what shape we are in. Faithful came forward and spoke about abuse that had happened to them at the hands of a Christian Brother, a policeman, a doctor, and a family member. The wounds of sexual abuse have been caused by priests, teachers, coaches, lawyers, and family members. No profession or relation is exempt. The faithful demanded accountability and transparency and expressed gratitude for the prayer service and our recent efforts to bring healing. Our Diocese has fought insurance companies these last three and a half years to contribute to a fair settlement for victims. We settled with the last insurance company, Liberty Mutual, on March 7. Now we are in mediation for the contribution of economic and non-economic demands to exit the bankruptcy for which our Diocese will be responsible. While this process has been purifying and painful, I have hope that we can help victims who have been hurt to heal and that we can educate about and prevent abuse, making our parishes, schools, religious education programs, and youth activities the safest places for our young people to be, and to hold accountable those who have harmed children, including bishops. Out of this terrible tragedy, Jesus brings hope, healing, and peace. Like other Lents we have entered into, this one has a providential significance for our Diocese. God is ever faithful to His pledges and will guide us into our future purified and renewed. As we make our final preparations for Easter, I invite your ongoing prayers for a resolution to our bankruptcy. If you have not already done so, go to confession. I invite you to the Chrism Mass, Monday of Holy Week. I encourage your participation in the Sacred Triduum at your parish. Please attend the Holy Thursday Mass of the Lord’s Supper, Good Friday’s liturgy of the Passion of the Lord, and the Easter Vigil. We are welcoming new Catholics into our family this Easter because Jesus Christ is Risen! This is a good question. In order to get to the answer, it could be helpful to note a couple of things about human nature first. Have you ever noticed how hard it is to avoid meat on Fridays during Lent? Or how difficult it is to fast on the only two fast days that the church requires (Ash Wednesday and Good Friday)? Honestly, it shouldn’t be a burden in any way whatsoever. When we consider that the church considers a “fast” to be only eating two small meals and one regular-sized meal that isn’t larger than the two smaller meals combined, is that even really a sacrifice? In the developed world, our “fast” can involve more food than the majority of the world eats on a feast day! But it is still tough for many people to abstain from meat or to fast. Why? I think that the only truly hard part about fasting is the fact that someone else has told us that we have to. The fast itself is of such little difficulty; the challenge is submitting one’s will and desires to the will of the church. Again, let’s be truthful with ourselves here. We want what we want, and the fact that the church gets to tell us what to do in this area grates on our ego and self-will. Because of this, if there is an “escape clause” regarding the church’s teaching, most of us are sorely tempted to take it. This is where the teaching on conscience comes in. If a person must “always obey their conscience,” then I can always “do what I want,” right? If the church taught that conscience is the “aboriginal vicar of Christ” (as Blessed John Henry Newman maintained), does it mean that it must always be followed? The Second Vatican Council has stated that, “Conscience is the most secret core and sanctuary of a man. There he is alone with God, whose voice echoes in his depths.” This means that one’s conscience has weight; it has a certain amount of binding force. But what is conscience and what is it not? First, we need to note that conscience is not a person’s personal preferences. Conscience is not a person’s own desires, opinions, or attitudes. In fact, a well-formed conscience will more often convict a person of where they need to repent and reform their lives rather than affirm and validate their choices. Conscience can be understood as the “voice” that comes from a living and active relationship with God. If someone does not find themselves investing deeply in spending time with God in prayer and feeding their mind on Scripture, it is likely that they do not have a well-formed conscience. This isn’t being cynical, it’s merely being realistic. We are often our own worst enemy. Our fallen human nature gets us into more trouble that any outside force. Therefore, to imagine that one’s conscience is “naturally trustworthy” or that it doesn’t need formation would be the height of self-deception and hubris. Conscience more often “binds” a person to action rather than “releases” them. In other words, conscience is often more concerned with duties than it is with rights. A well-formed conscience comes from a living prayer life and intentional seeking after God’s will more than one’s own will. A healthy conscience is therefore more preoccupied with “what does God want?” than “what do I want?” To try to quantify it, a person who does not spend significant time in prayer and study of Scripture and church teaching (as well as find themselves convicted on a regular basis of their sin) ought not to imagine that they have a healthy and well-formed conscience. Lastly, the church does not teach that we must obey our conscience, but that we must not disobey our conscience. The difference might seem subtle, but it is crucial. If my conscience and a church teaching collide, I must obey the church. The only time I would follow my conscience over and against a church teaching would be if I was absolutely convinced that it would be evil for me to not follow my conscience. A scenario could be something along these lines: I am convinced that it would be evil for me to not eat meat on a Friday in Lent. In order to choose God, I have to eat meat on that day. As introductions were made and basic information was gathered, the voices of Chuck Konzelman and Cary Solomon were jovial and lighthearted. 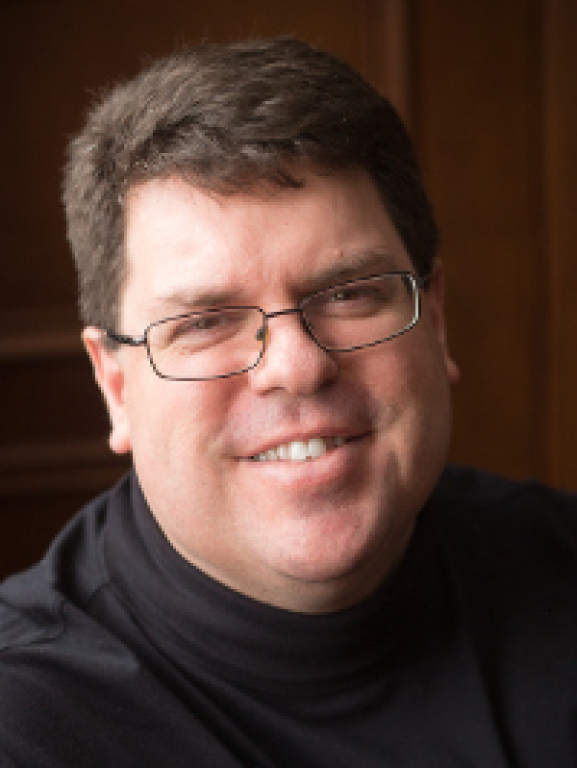 But in telephone interview with The Criterion, newspaper of the Archdiocese of Indianapolis, their sound changed as they began discussing their most recent film, "Unplanned," to be released nationwide March 29. It tells the true story of Abby Johnson's conversion from being "pro-choice" to pro-life as told in her 2011 book, "unPLANNED." Konzelman and Solomon are the film's co-writers, co-producers and co-directors. The two have been best friends since growing up next door to one another in New Jersey. They are both Catholic, live in Los Angeles and have years of experience in Hollywood. Solomon noted that he and Konzelman are a bit like the television duo Penn and Teller, where "I'm Penn, the one who talks," he admitted with a laugh. In 2008, they felt called to "come over to serve the Lord" with their talents, said Solomon. Since then, they've co-written and/or co-produced numerous faith-based box office films. Movieguide listed their 2010 film "What If ..." as one of the year's top-10 family movies, and their 2014 movie "God's Not Dead?" ranked among the top-35 grossing films that year. It also won Movieguide's top award in 2015. Their last film prior to "Unplanned" was "God's Not Dead: A Light in the Darkness" in 2018. Solomon recalled when, six years ago, he and Konzelman were "at our usual haunt, a coffee shop, talking about what we'll do next," when a woman approached them. "(She) tells us to read this book ('unPLANNED') and says we need to make it into a movie. I thought, 'Yeah, sure -- a chick flick! What do I know about being pregnant?'" Solomon said with a laugh. The next day, Konzelman "came into the office with one of those looks," said Solomon. "I said, 'Are you OK?' And he said, 'You need to read this (book).' The way he said it I could tell something divine had happened. I read it, and I agreed it was definitely a story that needed to be told" on film. Konzelman and Solomon prayed about the project, but the Lord told them "'not yet,'" Solomon recalled. "I said, 'What do you mean, not yet! Babies are dying!' We were bummed out -- we were ready to go." Then Solomon heard: "Not yet doesn't mean 'no.' It means, 'Not yet." Four years later, working in the office of their production company, Believe Entertainment Inc., they looked up at one another and "knew at that very moment" it was time to make the film, said Solomon. To write the script, Solomon said interviews with Johnson were done early on. They relief on her eight years of experience working in the abortion industry for the technical information. For authenticity, even the actors portraying the abortion doctor and nurse in the film are an actual former abortion doctor and nurse who, like Johnson, "had already ceased doing that work and come to the Lord," said Solomon. When asked how the filming of "Unplanned" differed from their other Christian movies, Konzelman said, "None of the other projects needed privacy. Usually when you're filming, particularly a faith movie, you look for all the publicity you can get. "But we knew there was a strong possibility of protests or sabotage, so we shot the film under an assumed name, and we filmed in secret" in a studio in Stillwater, Oklahoma. "Somehow by the grace of God, in an age of social media," there were no leaks about the film, Konzelman said, despite a cast and crew of 1,000 people. Added Solomon: "From day one in the office to when we were on set we had miracles, healings, conversions. We could make a movie about making the movie." For example, Solomon talked about a woman who was "pro-choice and very, very sick with lupus," who had somehow gotten hold of a screenplay of "Unplanned," and after reading it "she became pro-life and desperately wanted to be involved in the film," he said. But when she arrived at the set, the woman suddenly began to cry. One of the many priests and ministers frequently present on the set was called over -- and the woman confessed to having an abortion at 19. "She was just standing there crying about this abortion -- and right then and there, she was miraculously healed" of her illness, Solomon said with a bit of awe in his voice. She did go on to do office work for the project. Solomon's favorite conversion story hits closer to his heart. "My dad is 84, an atheist, liberal, pro-choice, far left, get-along-go-along, everything-is-allowed-and-permissible kind of guy," he explained. "The next day he called," Solomon recalled. "He said -- and he just doesn't talk this way -- he said, 'The clip you sent me, this movie is going to change the world. You've shown us what we didn't want to see. ... We need to make the Lord put an end to this abortion thing." "Before 5 p.m., the phone rang," said Solomon. "The person says, 'Hey, what's your routing number? Where I can wire you some money?' I said, 'Who is this?'" The man was Michael Lindell, inventor of My Pillow and CEO of My Pillow Inc. More importantly -- and a devout Christian. He said he had been praying and felt called to make a $1 million donation to the directors -- one-sixth of their $6 million budget. The film has been shown to sample groups hundreds of times, Solomon said. "Not one person said it's not good. Not one." Some cried, he added, "even men -- they're just as affected if they were involved in an abortion. And they say they feel freed, healed." Konzelman credits such feelings to the film's overall message: "That there is grace and forgiveness, hope and healing and redemption no matter what you've done, and particularly for post-abortion women and men." He hopes those scarred by abortion will find healing through the film, then will become pro-life advocates and tell those considering abortion. "This is the mistake I made. I suffered tremendously for it. You don't need to make the same mistake. If you find yourself in a crisis pregnancy, let's find another way to handle it.'" "The great lie," Konzelman continued, "is that you can walk into an abortion center, they can erase the baby and you can walk away and forget about it. There's grief the rest of their life, and this movie helps them get passed that." Solomon said, "If the world doesn't end abortion, the Lord will. And we are not going to like how he does it." "We can have great trust in God's mercy, but we must not take advantage of it. We must not justify spiritual laziness but increase our commitment to quickly responding to that mercy with a sincerity of heart," Pope Francis said March 24 before reciting the midday Angelus prayer. In his Angelus address, the pope focused on the parable of the fig tree from the day's Gospel reading. In the story, a landowner wants to chop down a fig tree that has borne no fruit in three years, but the gardener persuades him to allow him to fertilize it and give the tree another year. "The landowner symbolizes God the father and the gardener is the image of Jesus while the fig tree is the symbol of an indifferent and arid humanity," the pope said. "Jesus intercedes with the Father on behalf of humanity -- and he always does -- and he begs him to wait and give more time so that the fruits of love and justice emerge." Lent is a time for all Christians to take the needed steps in their ongoing conversion, the pope said. But "the possibility of conversion is not limitless. It is necessary to do it now, otherwise it could be lost forever." "We might think in Lent this year, 'What do I need to do to draw closer to the Lord, to convert, to 'prune' those things that aren't right? But, no, no, I'll wait until next Lent.'" Such people, he said, also should ask, "But will I be alive next Lent?" On the other hand, the pope said, when one sees another person doing wrong or struggling, the appropriate response is "to imitate the patience of God, who trusts in the ability of everyone to get up again" and return to following him. "God is a father and will not extinguish a weak flame, but accompanies and cares for those who are weak so that they get stronger and can make their contribution of love to the community," the pope said. Pope Francis also used his Angelus address to join the annual commemoration of "missionary martyrs," the bishops, priests, religious and lay church workers killed in the church's mission territories. In the past year, the pope said, 40 had been killed, "almost double the number of the previous year." "Remembering this contemporary Calvary of brothers and sisters persecuted or killed for their faith in Jesus is an obligation of gratitude for the entire church," he said, "but it also is a stimulus to witnessing with courage our faith and hope in him, who on the cross defeated forever hatred and violence with his love." Two women stood near the busy road on a chilly February morning in Indianapolis. A steady, penetrating mist -- and sometimes an icy splash from a speeding car -- made for a dampness that digs deep and lingers despite layers of clothes. The temperature hovered just above freezing. "It's always 10 degrees colder here than anywhere else," Sheryl Dye said with a patient grin. Her companion, Ann Clawson, nodded in agreement. By "here" she meant the entrance of the driveway of the Planned Parenthood abortion facility on the northwest side of Indianapolis. It is the state's largest abortion provider. They are members of the Indianapolis North chapter of Sidewalk Advocates for Life. Per its website, the organization's mission is to train and support volunteers "to be the hands and feet of Christ, offering loving, life-affirming alternatives to all present at the abortion center, thereby eliminating demand and ending abortion." Sidewalk counselors have been there for 13 years, since the facility opened in 2006, said Dye, 54. "It started as a grass-roots effort. ... Deb and I used to counsel together. We started talking about the need for more comprehensive training and getting more people involved. Sidewalk Advocates has a great training program." "First and foremost (it requires) a very strong faith," she said. "Because to be successful, you need to recognize you are an instrument of the Holy Spirit, and it's not anything you're doing. "Second is a passion for life. If you're not there believing that this is a life to be saved, it's going to come through to the person you're talking to." Having "thick skin" is needed, too, "because some of the things people say aren't very nice," admitted Minott, a member of St. Marie Goretti Parish in Westfield, Indiana, in the Diocese of Lafayette. Both agree on several misconceptions about what sidewalk counselors do -- that they are there to yell and protest against the abortion center, or there to shame the women as they drive in. "No matter what is said to us, no matter what goes on, we are peaceful, loving sources of hope," said Dye, a member of St. John the Evangelist Parish in Indianapolis. "Our goal is to let (the women) know there's help, that there's pain that can come with abortion, and that they're better than that and don't have to experience that." One might say the counselors' first goal is to get a car to stop. "We just wave and offer a big smile and make eye contact," Dye said of the counselors' approach to cars entering the drive. "There are times when you get no one to stop, then sometimes you get eight cars to stop" during the two- to two-and-a-half-hour shifts, Minott added. Counselors also offer to walk over immediately and meet the woman at the Women's Care Center that abuts the north boundary of the Planned Parenthood property. 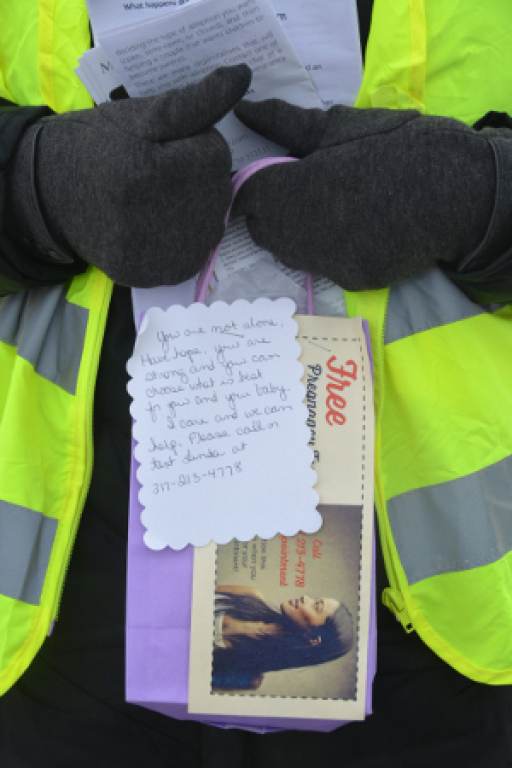 "Even if I talk to someone for a minute -- and that's really about all the time you have -- and they still go in (to the abortion center), I believe my prayers have an impact," Minott said of what counselors spend most of their time doing by the drive: praying. "If I didn't have faith that being there praying was having an impact, I couldn't go on doing it because there's just not enough tangible rewards coming back to you," Minott said. "This woman said she had been driving up and down Georgetown Road for a year trying to find the counselor," Dye said. "She wanted her to know that even though she went on in for her abortion after the counselor talked with her, she changed her mind, and she was now the mother of a healthy baby boy." "I've got to be here -- it's the right thing to do," said Clark, a member of Our Lady of Mount Carmel Parish in Carmel, Indiana, in the Lafayette Diocese. "(The clients) need somebody -- not only the children, but the moms and dads need us, too. ... There's nothing more cheering and exciting than when someone chooses life here in this driveway." Dye said that in the six years since she's been a counselor outside the abortion facility, "it's getting harder to get (the women) to see that it's something that could potentially cause harm to them. It's hard because society tells them it's no big deal." There is no "typical" counselor, said Dye, who is the mother of two grown children and a teacher at Lumen Christi Catholic School in Indianapolis. "We have women and men, people who are outgoing and people who are more quiet, people who work and people who don't work or are retired," she said. Minott also is married with two grown children. She is retired, running for the Carmel City Council, and has "a lot of other things going on." She had a "save" on her first day of counseling -- a woman she spoke with who decided to go to the Women's Care Center instead of Planned Parenthood. "That's like being on cloud nine," she said with a smile. "Those are the things that keep you coming." U.S. Catholic bishops condemned the two mosque attacks in Christchurch, New Zealand, March 15 that left at least 50 people dead and 50 seriously injured, and they also pledged their solidarity with the Muslim community. 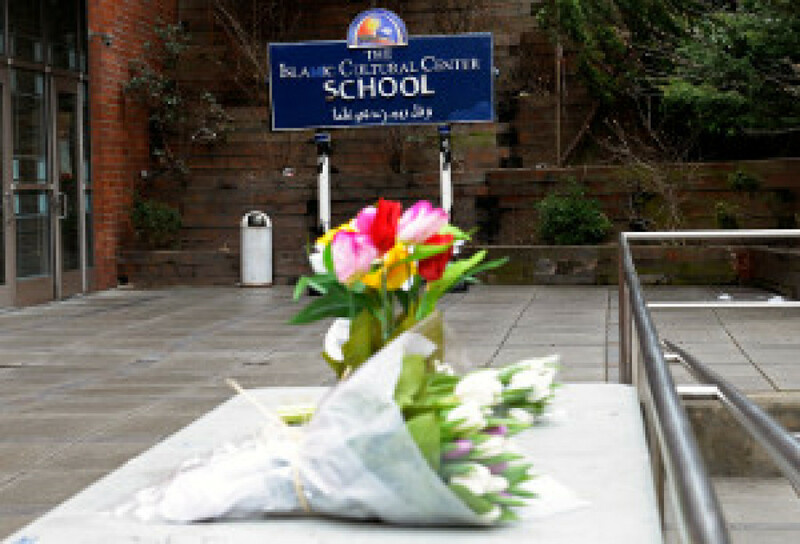 Cardinal Daniel N. DiNardo of Galveston-Houston, president of the U.S. Conference of Catholic Bishops, said he was "deeply saddened by the senseless attacks" and joined with New Zealand's bishops in "expressing solidarity with the Muslim community and in calling Catholics to join in prayer for the victims of this shooting, their families and the Muslim community that was directly targeted." The cardinal also said he agreed with the New Zealand bishops, who said they were "particularly horrified that this has happened at a place and time of prayer." "Together with so many others, my heart hurts to learn of yet another mass shooting in a place of worship," he said. "The senseless taking of innocent life is only made more disturbing when people are targeted because of their beliefs and as they gather to pray." The bishop said his local community "knows all too well the shock and horror of a massacre such as this. Yet, an act intended to tear people apart can instead build up a community that is 'Stronger than Hate.'" In his March 15 statement, he said he hopes the Muslim community in Christchurch will "know the love and support of their neighbors near and far in the face of the evil they have experienced." Chicago Cardinal Blase J. Cupich said the root of this attack was hatred, fear and ignorance of the 'other,' which he said: "fuels attitudes that dehumanize whole communities and blame them for perceived ills in society." "Let this horrific affront to decency be a call to action by all people who cherish our common humanity. Religious, civil and political leaders have a responsibility not only to condemn these criminal acts, but to hold each other accountable for combating the attitudes which breed them. Let us recommit ourselves to this task today, welcoming one another as 'brother' or 'sister' whenever we encounter them." Boston Cardinal Sean P. O'Malley likewise reached out to the local Muslim community, saying: "To our Muslim friends in Boston and throughout Massachusetts, in this dark hour know that you are not alone, we join together with many others in the religious and civic communities who embrace you in concern and support." The cardinal also addressed our "Muslim brothers and sisters in New Zealand," telling them: "We stand with you in condemning this horrendous assault on human dignity." In a March 15 statement, he stressed the importance of not letting this tragedy have the last word. He said the ideology of hate and the violence "causes untold suffering and pain, but it must never be allowed to defeat our efforts to work together for the betterment of all people throughout the world." 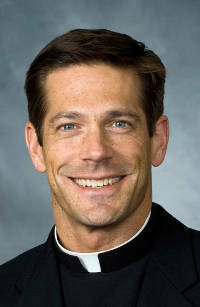 Bishop Nicholas Dimarzio of Brooklyn, New York, similarly offered prayers for those who died and pointed out that the shootings were "an unsettling reminder that the right to religious freedom is under attack throughout the world."